The new Bloomberg Businessweek rankings list William & Mary’s full-time program 30th among the 780 accredited full-time MBA programs in the United States, up from 42nd in 2017. To conduct its survey, Bloomberg Businessweek asked 26,699 MBA students, alumni and recruiters about their goals and experiences. The rankings are based on those responses, as well as compensation and job-placement data from each school. In one of the most watched rankings of national MBA programs, William & Mary’s full-time program ranked 1st in learning, 9th in networking, and 17th for entrepreneurship while making significant strides in its overall ranking. “We made a school-wide, strategic commitment five years ago to improve our full-time MBA program and the experience we provide to our students,” said Ken White, Associate Dean of MBA and Executive Programs. "It is gratifying to see that effort and the results reflected in the Bloomberg BusinessWeek rankings." "The rankings provide a window into graduate business education options for prospective students," he said. "Our rankings demonstrate we are fulfilling the promise we make: to provide a transformational experience to each student." The rankings also provide a unique profile for each program and school, based on the survey responses. Among the comments listed for William & Mary and the Raymond A. Mason School of Business were those describing a safe and inclusive environment for women, international students, ethnic minorities, and people with disabilities. "The culture of quality here at the Mason school is exciting and unmatched," White said. "The passion and commitment from our students, faculty, staff, alumni, executive partners, employers and the Williamsburg community play a big role in making our program truly special." The new Bloomberg Businessweek rankings come after William & Mary ranked high in several other recent reviews of MBA programs. 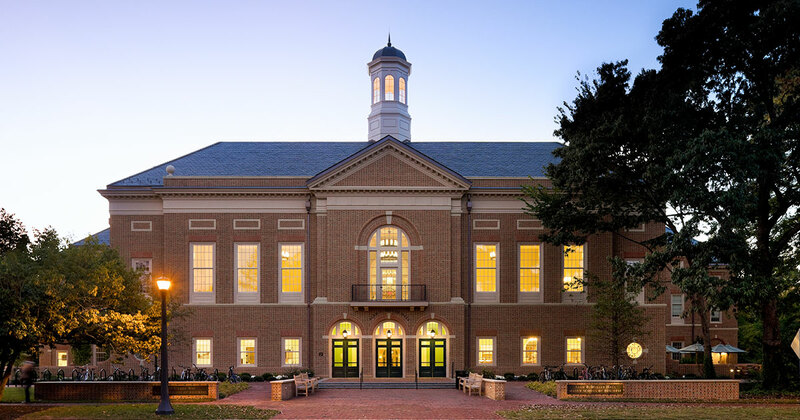 Princeton Review ranked the W&M full-time MBA program third in quality of professors, sixth as a “family-friendly” MBA program for students with families, seventh in student competitiveness and 10th in overall administration. William & Mary’s business school also received high praise in a recent list of undergraduate business schools to watch. Poets & Quants for Undergrads, a website offering news and advice for current and prospective undergraduate business students, listed the Raymond A. Mason School as one of 10 U.S. business schools on the move and worthy of attention. The Mason School received high points from Poets & Quants for allowing students freedom to shape their business educations. Poets & Quants also noted that the school received high ranking from alumni (9.7 on a 10-point scale) and employers (9.5), as well as for its faculty (9.26). The faculty ranking was “one of the highest among undergraduate business schools,” according to the site.